IndieWritersReview Spotlight! THE DRAGON’S SHADOW by Allison Morse (RABT Book Tour Blitz) Raffle-copter Giveaway! Happy Tuesday! 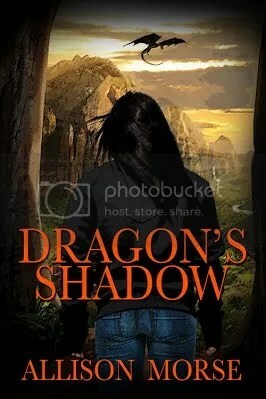 I’m so happy that IndieWritersReview is one of the host for THE DRAGON’S SHADOW by Allison Morse (RABT Book Tour). Check out the excerpt and awesome giveaway below! Hey guys! 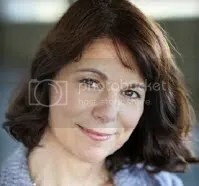 I’m excited that IndieWritersReview is hosting A Light in the Darkness by awarding winning musician, playwright, author Lisa A. Sniderman (Aoede). I give my thoughts below on her new release! In 2008, singer-songwriter Lisa Sniderman was living the dream in California. As Aoede, the Muse of Song, her star as a gifted recording artist was rising fast. Lisa’s quirky folk-pop performance style electrified audiences up and down the West Coast, and the albums just kept flowing. But just when her career was rocketing skyward, a health crisis brought all of her dreams crashing to the ground. Diagnosed with a rare, debilitating immune disorder called dermatomyositis (DM), Lisa struggled to maintain a normal life with a body in revolt and, eventually, to accept a new normal. Living with a chronic illness challenged Lisa to see DM as a gift in disguise that has opened the door to new dreams, new songs, and new opportunities. Lisa’s story is for you if you seek strength, new inspiration, hope, joy, healing, and if you or someone you love struggle with a chronic illness, disability, or unexpected life events. Her insights and reflections on her journey inspire hope and the courage to keep dreaming and living to the fullest no matter what life hurls at you. A Light in the Darkness by the awarding winning musician, playwright, author Lisa A. Sniderman, (Aoede) inspired warring emotions within me as I read. I alternated between joy and tears! Ms. Sniderman gives her personal journey on living with the effects of Dermatomyositis, a muscle disease, and inflammation response to cell damage. She starts with her personal philosophy of setting goals, visions and creating opportunities to realize her dreams, and giving it all she has in the pursuit of those dreams. So when diagnosed with DM she explains how she had to adapt to a “new normal” of doctor’s visits, drug therapies and increasing fear and doubt of whether she will be able to continue being all that she could in her daily life and career. But she persevered and with the support of family, friends and those in her network, Ms. Sniderman continued to set and achieve her dreams. I believe that everyone comes to a point where he/she may hit a wall. Going after dreams takes courage and when those achievements aren’t happening the way one might envision, it’s easy to want to give up. But when reading A Light in the Darkness, and reading the story of someone who refused to give up on being who she always meant to be, no matter the limitations in body or the doubts in her mind. It inspires the reader to take that next step and keep moving. It inspires the reader not to give up. It inspires the reader to be brave in the pursuit of the life they desire and the pursuit of who they want to be. I am grateful to Ms. Sniderman for sharing her journey and being an inspiration to those who may be dealing with the same challenge physically, as well as being an inspiration to all readers who may need encouragement not to give up on their dreams. I fully recommend A Light in the Darkness as a must to be read and to share with those who could use a little inspiration and hope!